The weather, overall, has been a little rough for what feels like a couple of months. The cyclone season has certainly been felt across Queensland this year and our thoughts go out to everyone affected. However it has not all been bad news as in between weather systems we have had 2 and 3 day windows which have fished quite well in close and out wide. Last weekend was spent in close on the inner reefs. 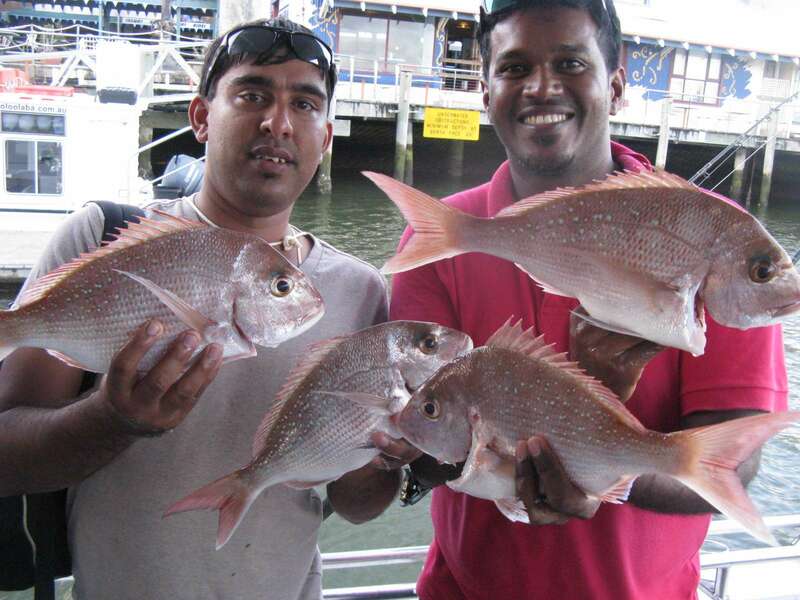 We had 1/2days booked and both mornings’ and afternoons’ were fished with Sunday afternoon fishing the best. Good to see online casino some numbers of squire put in the esky this early in the year. It looks like a good snapper season ahead!!! Good signs- Great numbers of squire in the 35-45cm range have shown up on the inshore reefs. The sunshine coast forecast for the weekend looks a bit blowy again; maybe the bigger boats might get a chance offshore on Sunday (Fingers crossed). We can’t wait to get back out there and if you would like to join us give us a call or email.